You can bet Detroit Rock City has countless mind-blowing concerts lined up each year. There are small theaters, stadiums, arenas, and outdoor venues throughout the area where music aficionados gather to hear their favorite bands and artists play, as well as to hear the next big thing. No matter what your favorite genre, you'll be able to be entertained all year long. 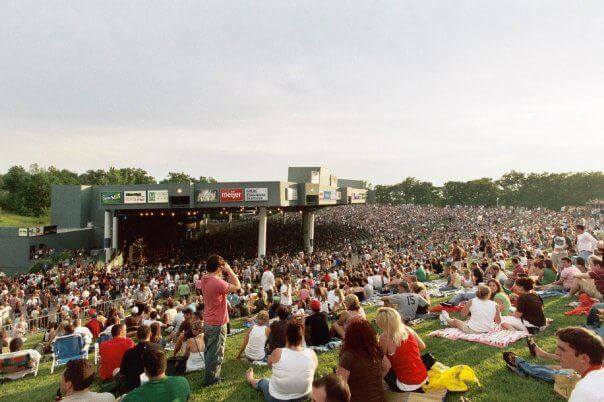 The DTE Energy Music Theater is a great outdoor venue that is perfect for summer night concerts. Hear the biggest names in music play the Palace of Auburn Hills, Joe Louis Arena, Ford Field, and Comerica Park when there isn't a home game. Become one with the crowd as you sing along all night to your favorite songs! Detroit is definitely a fantastic city to experience some live music. Not only are there talented local musicians playing in pubs and other venues across the city, but big names are always rolling through to the casinos, stadiums, and other concert venues located nearby. There's truly nothing better than having a concert experience with all of your closest friends in Detroit. It's a recipe for a fantastic and fun night! The next time you're beginning to plan a concert outing with you and your friends, be sure to consider all of your options when it comes to transportation. Of course, you could always drive yourself and your friends, but going out isn't fun when you're the designated driver! Aside from that, a limousine or party bus offers amenities that no regular vehicle can. Be sure to reserve yours fast, as limousines and party buses go fast!